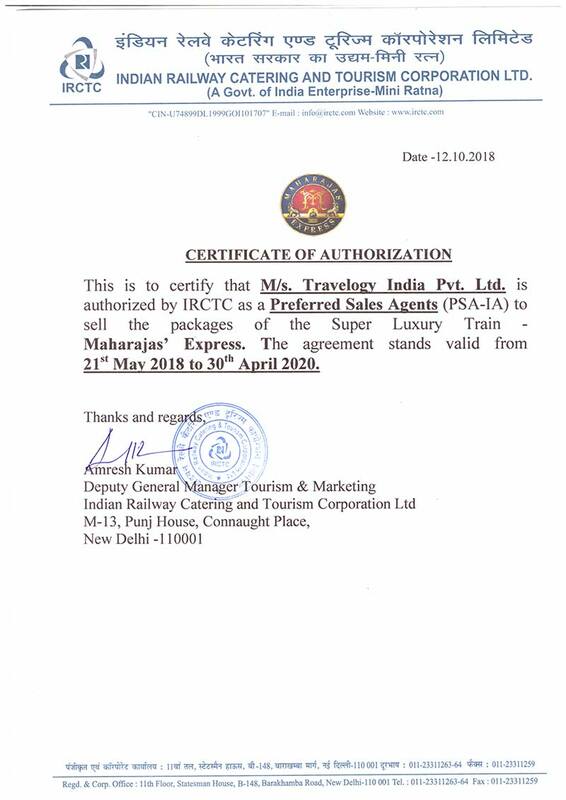 TheMaharajaExpress.org site is owned and managed by Travelogy India Pvt. Ltd. that provides complete information of the amenities available on-board Maharajas' Express including departure dates, details of the destinations, detailed itineraries, and journeys' cost. The portal has been designed for your convenience to travel across majestic Indian destinations on board Maharajas' Express. Travelogy India Pvt. Ltd. is a Preferred Sales Agent- IRCTC Affiliate (PSA-IA) for selling the packages of Maharajas Express Train. Travelogy India Pvt. Ltd. do not own or operate Maharajas' Express train. 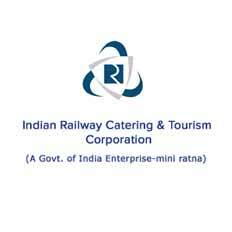 The train is owned and operated by Indian Railways Catering and Tourism Corporation. Travelogy India Pvt. 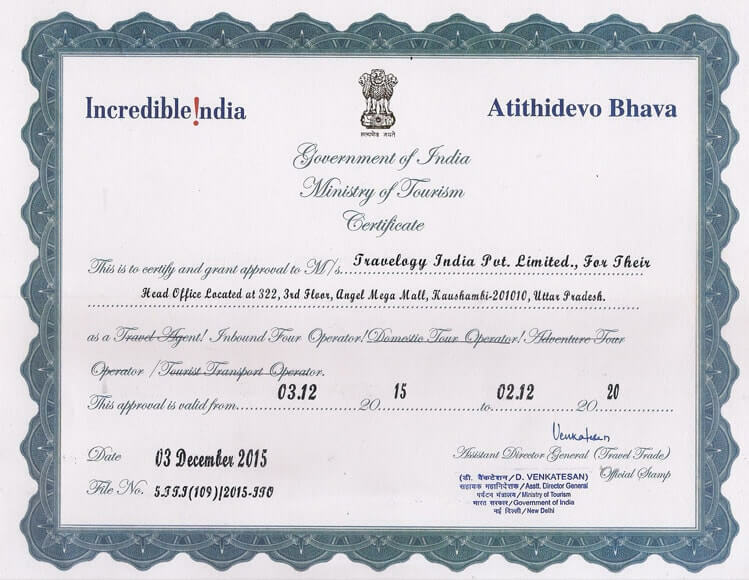 Ltd. can be trusted as it has been accredited by Ministry of Tourism, Government of India for its seamless services and efficiency in arranging perfect Journeys & holidaying. 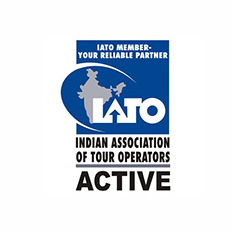 It also offers best travel deals to its clients as it has gained recognition from the reputed and reliable associations in hospitality industry and global tourism industry such as IATO (India Association of Tour Operators)and IRCTC (Indian Railway Catering & Tourism Corporation). 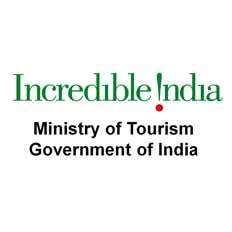 May it be traveling in India or somewhere in its neighboring countries, Travelogy India Pvt. Ltd. can be trusted and rely up on for comfortable and hassle free journeys. 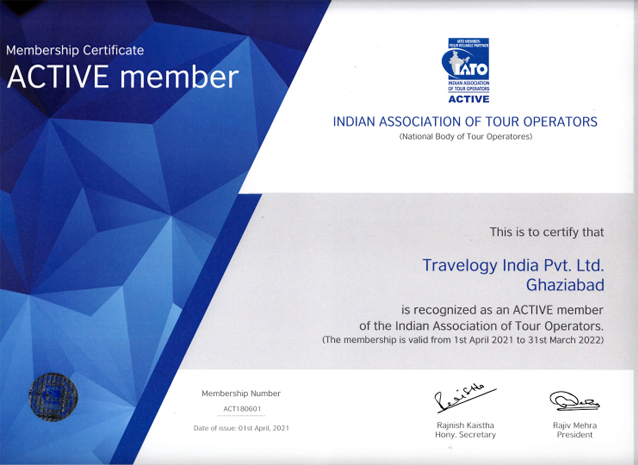 Therefore, Travelogy India Pvt. Ltd. with years of experience facilitates traveling across the majestic destinations of India on board Maharajas' Express. Its extensive domain, TheMaharajaExpress.org offers easy booking facility of the tickets for Maharajas' Express.